Get Your 2019 Summer Concert Series Tickets Now! Warm nights, cool breezes, and great music…sounds like the perfect summer evening, right? Thanks to the Summer Concert Series at Philip S. Miller Amphitheater, we can all enjoy the fun in our own mini Red Rocks. For the past two years, we’ve enjoyed shows from the likes of Michael McDonald, Shooter Jennings, Big Head Todd and the Monsters and many other great performers. This summer, we’re in for more fun under the stars with the 2019 Summer Concert Series. 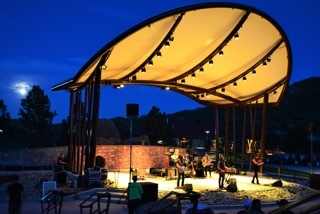 The town of Castle Rock CO has set the lineup for the 2019 Summer Concert Series at Philip S. Miller Amphitheater and it’s going to be another great summer of affordable live music, craft beer and cocktails on select weekends. Tickets are on sale online here CRgov.com/PSMConcerts . It’s going to be another great summer of music with the 2019 Summer Concert Series at the Philip S. Miller Amphitheater in Castle Rock, get your tickets now. Check out CRgov.com for more details.